Find recreation in Other, IN and other fun things to do. View our list of attractions, activities, events, restaurants and visitor information. Shipshewana Horse sale November 29 - Day After Thanksgiving Horse Sale Tack begins at 9:00 AM, Horses 9:00 AM, Ponies, 3:00 PM Livestock Auction Barn and Misc. 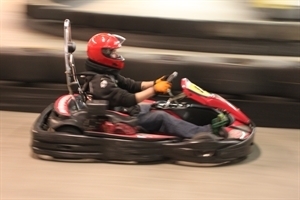 Family Entertainment Center Looking for an activity the whole family can enjoy? Check us out! Eby's is an affordable, fun escape from the ordinary. Our family entertainment center has skating and laser tagging as the main attractions. Shipshewana Horse Auction Every Friday - Weekly Shipshewana Horse Auction 10:30 AM Livestock Auction Barn, 345 S Van Buren St The Shipshewana Horse Auction is held every Friday, year-round. Livestock Auction in Shipshewana Every Wednesday - Weekly Shipshewana Livestock Auction 10:00 AM Livestock Auction Barn, 345 S Van Buren St The Shipshewana Livestock Auction is held every Wednesday, year-round as farmers from all over the Midwest come to trade hay, pigs, cows, sheep and goats. Tour Squire Boone Cavern Explore Squrie Boone Caverns like Squire and his brother Daniel Boone did back in the 1700's. The tour slowly winds its way through the cavern passageways, with only the glimmer of LED lanterns punctuating the darkness. This tour is by reservation only. Twinkling lights, Santa & Mrs. Claus, storytelling and more Twinkling lights, Santa & Mrs. Claus, storytelling, children's train ride, horse & carriage rides, children's crafts, live nativity, musical entertainment, food and so much more. Come and pamper two African Elephants! Circus History is deep rooted in French Lick with the Hagenbeck-Wallace circus once owned by Ed Ballard. An African elephant herd of three girls will be retreating at Wilstem Ranch, only 7 miles from French Lick. Trekking in Nepal with Footprint Adventure Footprint Adventure is a Nepal based adventure trekking, tours company. Specializes in Nepal adventure trekking, tour, hiking, climbing, rafting, paragliding, mountain flight, jungle safari, cultural tours and more activities in Tibet and Bhutan. Relaxing scenic 20 mile train ride! Take a 20-mile historic train ride through parts of the Hoosier National Forest, the 2,200-foot Burton Tunnel (Indiana's second longest tunnel), and past limestone outcroppings. Walk the same path Abraham Lincoln walked as a young man. Meet at Lincoln Amphitheater at 7:00 pm CT. State park entrance fee applies ($7/vehicle or $9/out-of-state vehicle). Experience the up close beauty of Giraffes Meet, greet and feed the giraffes in the newest experience at Wilstem Ranch, an up close and personal giraffe encounter with two graceful giraffes. Be scared out of your boots in this eerie mansion gone ghoulish complete with spiders, creaking doors and startling creepiness. Relaxing painting in the park! Join Anabel Hopkins, Arts in the Parks Artist, for the annual Picturesque Patoka event. Take a short walk to a beautiful view of Patoka Lake on Saturday, May 19, 2018 at 1:00p.m. With the direction of Anabel, paint a scenic picture of sky, water, and landscape. the most fun you'll ever have being chased by monsters Do you dare to walk the Psycho-Path? A haunted path through the ghostly woods with monsters and zombies. Pick a favorite pumpkin! Pick out a pumpkin and experience some other fun family activities amidst the fabulous fall foliage! Take a wagon ride through the pasture to see zebra and bison.